"It’s always refreshing to work with reliable and ethical people. Your lab is not just a place of business to me, it’s a reason my practice has grown." "Your customer service is second to none!" "I would like to compliment you on your professionalism, especially with the billing. Allow Visa, clarity of statements, accuracy. Very impressive when compared to other suppliers." "I have been using Precision Orthotics for almost 13 years now. I would recommend them to any of my podiatry colleagues!" "I have been a client of Precision Orthotics since approximately 1999. I have been very satisfied with the orthotic prescriptions Precision Orthotics provides for me and my patients." "You are a great lab and make it easier for me to practice…with fewer headaches! Many thanks." "Your staff is very pleasant to deal with, and follow-up support is excellent." "In 2000 my lab in California started failing on both quality and turn around time. 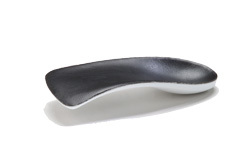 Then I started using Precision Orthotics, and have been very happy with their orthotics since. 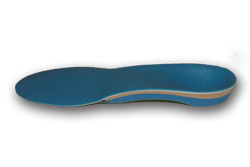 I make a LOT of orthotics, and Precision does a great job for me." "The variety of products and consistency of quality keep me coming back." "I appreciate the fact that Rudy and the staff are so approachable and helpful." 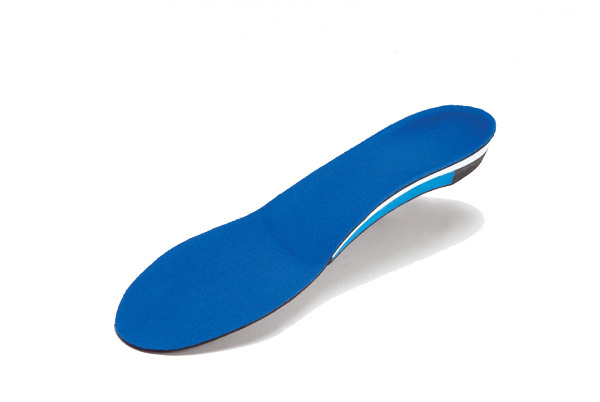 "Precision Orthotics is THE company that I rely on exclusively for my patient’s custom foot orthotics needs. They always exceed my expectations providing a top-drawer product with excellent patient outcomes. Precision provides an invaluable service for my practice." "Precision Orthotic Laboratory makes me look good to my patients. 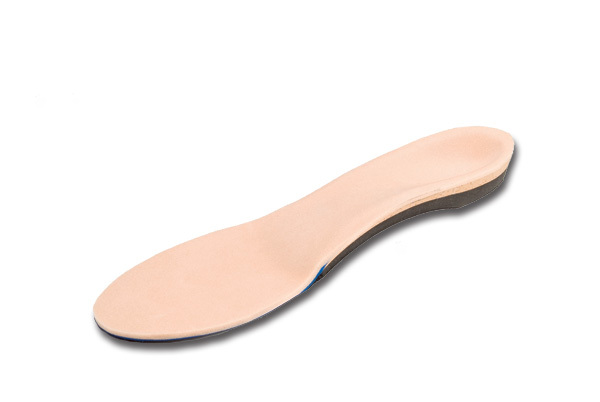 The consistency and dependability of their orthoses allows me to have confidence in the efficacy of orthotic treatment when recommending it in my treatment plan." Whatever your needs, choose confidently from our wide range of high-quality orthotic foot care devices and ancillary products. The hub of our custom laboratory is our state-of-the-art Computer Assisted Design and Manufacturing system. Using 3-D laser technology, the Sharp Shape Automated Orthotic Manufacturing System (AOMS) quickly creates a precise image of your patient’s foot, so the devices fit beautifully for optimum comfort and performance. We permanently store all digital imagery to simplify re-ordering. We are an official lab partner for Richie Brace foot and ankle braces. The Richie Brace® is a custom articulated ankle foot orthoses (AFO) for the treatment of chronic conditions of the foot and ankle. 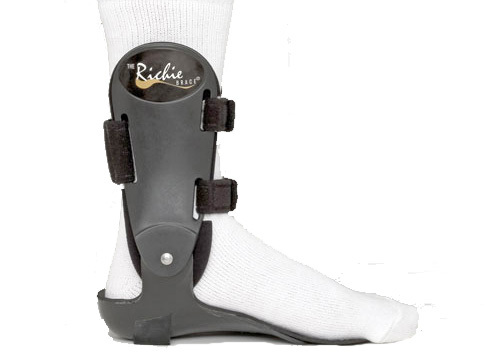 The Richie Brace® has proven remarkably successful in the non-operative treatment of a number of foot and ankle pathologies. Over 14,000 patients with adult acquired flatfoot secondary to posterior tibialis tendon dysfunction, chronic degenerative arthritis of the ankle, and tendon injuries around the foot and ankle have benefited from this unique device. The Richie Brace® design combines a custom foot orthotic and semi rigid limb uprights with pivots that are precisely aligned with the ankle joint axis to offer extraordinary control of foot mechanics while allowing pure sagittal plane motion of the ankle joint. Abnormal motion of the rear foot complex (i.e.inversion/eversion), other major articulations (i.e. subtalar, midtarsal, first ray) and internal/external rotation of the tibia are more effectively controlled than with traditional device therapies. The Richie Brace® Tutorial Kit is available on request and includes technical information on the RICHIE family of AFOs, casting guide, prescription forms, price and policy information, reimbursement information and a recommended shoe list. The “Flapper” travels easily from high heels to flat pumps. Ideal for women who wear a variety of shoe styles throughout the day. 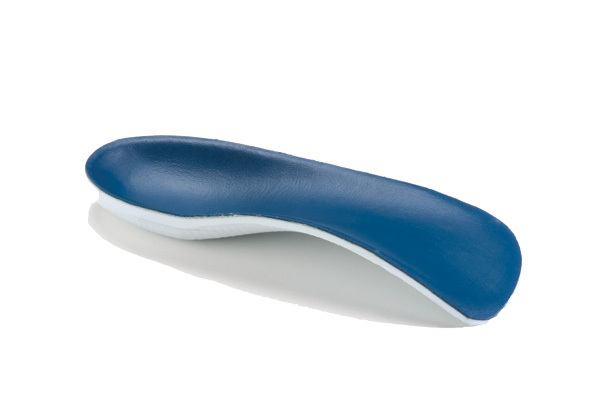 The Madelynn Mold provides optimal support and comfort for people with foot sensitivities. Ideal solution for the unique needs of diabetic and older clientele. 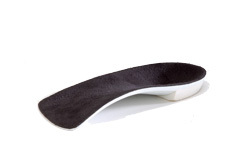 The Soft Madelynn Mold provides softer, more forgiving support for people with foot sensitivities. Ideal solution for the unique needs of diabetic and older clientele. The Omniflex offers superior biomechanical control for a variety of shoe types, body weights and individual needs. Perfect for people who need functional control and desire the flexibility to wear a variety of shoe styles. Features slim design to fit a variety of shoe types. Allows tailoring for body weight and individual needs. Offers flexibility for use in many applications. 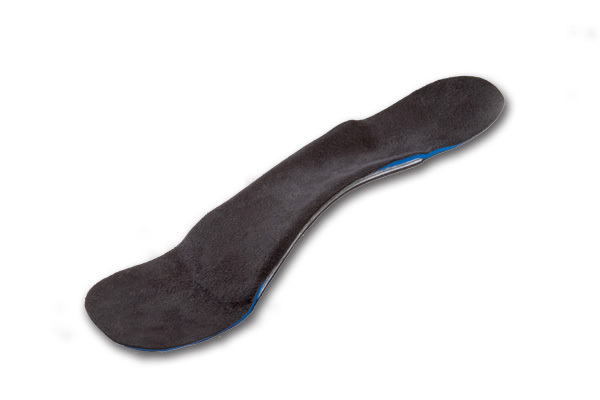 Intrinsic forefoot posting for low bulk, and integral rearfoot posting for superior control. Available in Flexible, Semi-rigid and Rigid. 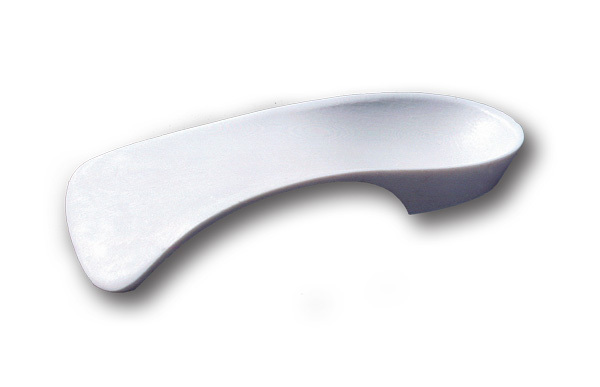 Rearfoot contact point maximum thickness: 1 mm. Microtextured surface provides smooth satin finish. Top covers and extensions available to suit clients’ unique needs. Guaranteed against orthotic breakage and rearfoot post avulsion for the useful lifetime of the orthotic. The Precision Aerobic gives serious athletes the functional control and overall comfort they need. Perfect for long distance runners, marathoners, triathletes, hikers, aerobics participants and people who stand for long periods of time. The Precision DI (Direct Intrinsic) offers functional control and flexibility for a variety of body weights and individual needs. Ideal for people who need functional control and a low-bulk orthotic. The Precision DM (Direct Milled) offers functional control and flexibility for a variety of body weights and individual needs. 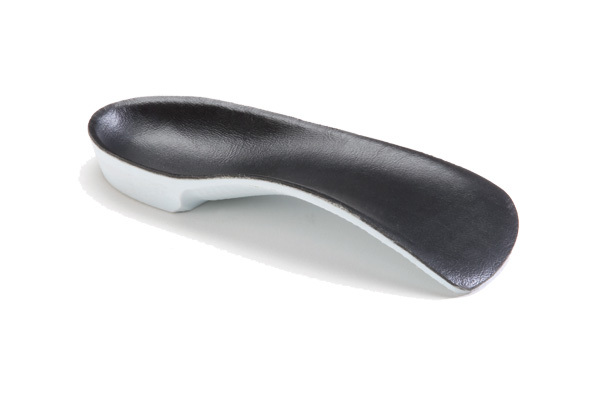 Ideal for people who need functional control and a low-bulk orthotic. The Slimflex is ideal for patients who require functional control and desire a low-bulk orthotic made of polypropylene. The Precision Sport is designed for patients who require functional control that suits their more active lifestyle.